I realized earlier this week that I haven't sewn any clothes in a long time. I think it's been all summer. I've just been so busy with various quilting obligations, plus preparing all the Potter Patterns for release next week, that apparel has fallen by the wayside. But despite the fact that I'm not too awesome at making clothes, I really enjoy it. So when I woke up this morning and saw that it was monsooning outside, I decided I'd spend a few hours making some clothes. 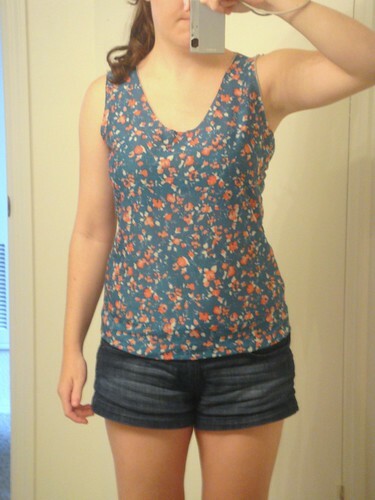 I have two projects, but figured I'd show you the tank top today and save the other [with lace! and more successful!] for another day. 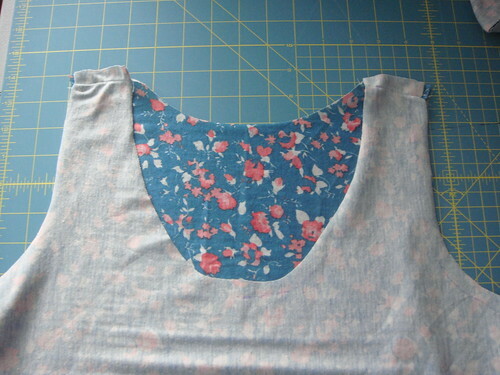 Put right sides together and sew first at the shoulder seams, then along the side seams. 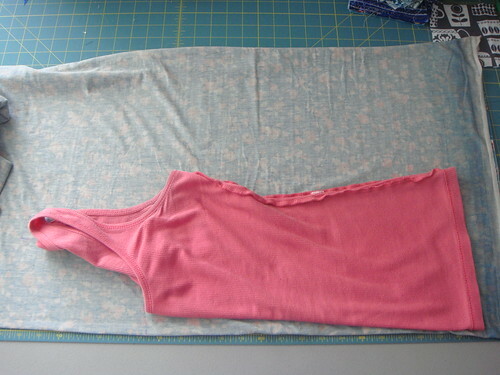 The fabric I'm using is a knit, so it doesn't fray, but I'll still probably use pinking shears on the seams. 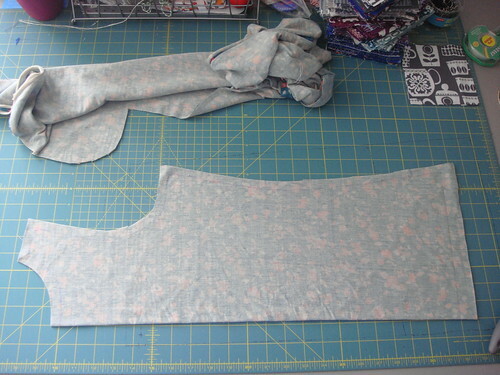 So here's where things get a little iffy...Both the fabric I'm using and the tank top I traced are knit fabrics. 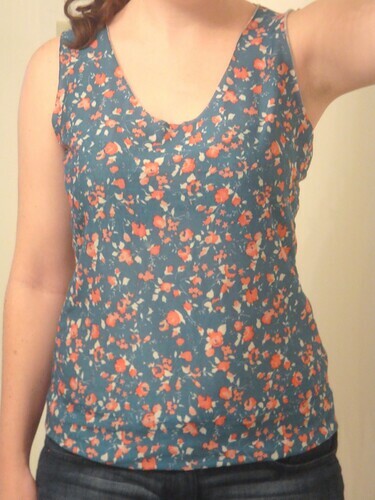 But the tank top is stretchier than the new fabric, which I knew. So I made sure to wear said tank top yesterday so it would stretch out, thus giving me a slightly bigger tank top to trace. I never have these kinds of problems with quilting! It may feel snug, but in your pictures, it doesn't look unflatteringly snug, in my opinion. But if it's restricting movement, that's obviously a different issue! 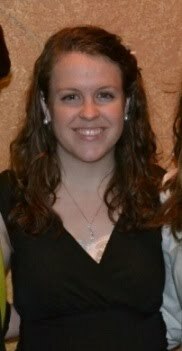 It doesn't look like it doesn't fit right in the picture, then again they can be deceiving considering you have it on and all! finish it, it looks fabulous - it doesnt look snug/small or anything, so unless its uncomfortable, go for it!